Entries categorized "MINI CATALOG: OCCASIONS"
2015 Stampin' Up! Catalog Kick Off in Nashville! Last week was filled with fun! Stampin' Up! reserved theaters across the nation to reveal the 2015 Occasions Spring and Sale-a-bration catalogs! My tickets took me to the Opry Mills i-max theater, so I couldn't resist some Christmas shopping while I waited for the show to begin! We joined other demonstrators to watch Stampin' Up! executives preview the products, share benefits, demonstrate techniques, and share project samples. I won the first prize patrol (FREE stamp set). Stampin' Up! also gave us a free stamp set and both of the new catalogs shared in the presentation and available for preorder in two days. I was blessed to get a middle seat in the stadium theater. The seats were comfy, and the audience was respectful and excited. I would definitely recommend the experience to other demonstrators. Although I enjoyed meeting new friends, I suggest gathering a group of friends to increase excitement for the event. You are in for an incredible treat for the new year! I hope you LOVE the new spring catalog items as much as I do! There are some FABULOUS new products, and I HAD TO HAVE THEM! I look forward to hearing about your new favorite, must have products this season! As the new year begins, there is only time to celebrate the resolutions and great memories you will make. I am considering a career and residence change for the summer, so 2014 is sure to be an adventure. This is the cover of the 2014 Occasions catalog that you can begin placing orders NOW! Here are links to the catalog, if you do not have access to yours right now. If you need a hard copy, let me know and I will mail one. I know you won't be able to wait long to view these fabulous products. Great News! Stampin' Up! will continue to offer some of the most popular designs featured in the expired Occasions Mini Catalog. If you missed your chance to grab some of these stamps sets, NOW is your chance! These items are STILL AVAILABLE to order! My favorites on the list are Apothecary Art, Mouth Watering, Mixed Bunch, Loving Thoughts, and Tea Shoppe. I created this scrapbook page using stamps from the Mixed Bunch My Digital Studio download. I chose this stamp set to share how flower images can create backgrounds, page title pieces, and masculine themes. This layout could be created with the stamp set if you prefer creating projects without digital design elements. I also designed the title element of this blog entry using the Mixed Bunch stamp set with different colors for a completely different look. The possibilities are endless! Stampin' Up! has something for everyone! Our weekends are usually relaxing with few tasks or events; but THIS weekend was a WILD ONE! We started with a Chuck E. Cheese birthday party on Saturday morning. Hayden helped Austin celebrate his 6th birthday with pizza, tokens, party cups, balloons, birthday crown, more tokens, cupcakes, fun with friends, and gifts galore! The beautiful weather inspired us to enjoy "free admission" to the Clarksville Customs House Museum. Hayden was most interested in the gift shop pet iguana. I managed to distract him with the museum train display, sports hall of fame, and Words of Women exhibit. We look forward to seeing the museum rennovations next month. Our Saturday evening continued by changing the clock time to spring forward an hour before the week begins. Hayden enjoyed Lego play time before bed. Sunday morning began with church service. Hayden's favorite part is Children's Church; and I am most encouraged by the sermon. Jodi delivered a meaningful message to start our week. Our afternoon continued with a fast lunch with friends; Ms. Jennifer, Preston, and Marshall. We enjoyed seeing "The Lorax" at the Governor's Square Mall Carmike Cinema. Ms. Jennifer treated the boys to movie snacks and candy at Mr. Bulky before we shopped a few minutes. A short outdoor playtime was enjoyed before we returned to end our weekend at church. I attended a class, while Hayden played with friends. Although we were extremely busy, the weekend was a fun break from normal. I didn't finish any chores or projects, but I truly enjoyed my time with Hayden. In fact, the fun weekend inspired me to create a scrapbook layout to preserve our fun. Another demonstrator's design inspired my swap card for our March meeting. I created more than twenty of this design, and the assembly process was easy...once the pieces were prepared to adhere. I found myself in the mood for a masculine theme; and I like the subtle texture created with the embossing folders and Big Shot. What a Weekend! Decorating, Legos, Baseball, and More! This weekend brought beautiful weather. We decorated for Easter and spring and played outside. Hayden was inspired to create a few decorations of his own: Slime Monster, Ketchup Monster, and Mustard Monster. I gathered Easter 3-D projects to fill my studio classroom tree. The "star" is also known as a designer series paper pinwheel, courtesy of my dear friend, Angela Sylvester. "Ornaments" are project swaps, class and club samples, and craft fair creations. I will admit to enjoying the corner glow as I walk downstairs to create in the evenings. I also created a few Sale-A-Bration card displays to brighten the basement. These samples are courtesy of project swaps with demonstrators we often share with local area stampers and friends. Tee ball registration and errands filled Saturday. Sunday began and ended with church as we attended class and worship in the morning. Dinner and a small group class prepared us for this wonderful week. Have YOU chosen your FREE PRODUCT? Thanks to the Sale-A-Bration season, everyone is a winner! Gather friends and Sale-A-Bration spring with a stamp party! Bring them here so I can share my Easter and card displays. Attend a class or even place an order. I would LOVE to stamp with you! Contact me SOON because this is the FINAL month of these exclusive Stampin' Up! savings to share with you. Spring seems to come a few days and go for a week. Rain pours in spirts and thunder rocks our house. Although I can't control the weather, I can definitely welcome spring inside my studio. 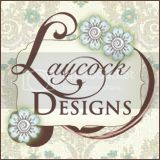 Sale-A-Bration designer series papers and the Fresh Vintage stamp set were a great start to my Spring Banner design. First, I cut eight Lucky Limeade cardstock in 5 1/2" X 8 1/2" pieces. I stamped tone on tone (Lucky Limeade ink and cardstock) the flower from the FREE Fresh Vintage stamp set on each paper. I cut a triangle from the bottom center and used the bone folder to create a curl at the end of each piece of the banner. The largest Labels framelit and FREE Elementary Elegance designer series paper formed the second layer of the banner design. The Scallop Oval frame was cut with Pool Party cardstock and embossed with the Elegant Lines textured impressions embossing folder. Very Vanilla cardstock and the Simple Alphabet Letters dies were used to create the letters on each oval, to form the word "spring" for the banner. Flowers were created with Poppy Parade designer series paper and the Fun Flowers Bigz L die. More flowers were cut with Very Vanilla cardstock that was stamped with the flower from the FREE Fresh Vintage stamp set to create a background design. Flower pieces were layered to create a design at the top or bottom of each banner piece. A rhinestone was placed in the center of each flower. Each end of the banner features the Elegant Bird die cut with Poppy Parade designer series paper. The paper was crumbled, unfolded, and adorned with a rhinestone for the bird's eye. The banner was tied with FREE Everyday Enchantment/Calypso Coral 1/8" Organdy Ribbon. Like what you see? Want to create a fun banner of your own? Everyday is a time to celebrate, and these banners look great when they hang in windows or under a fireplace mantle. You can use any word, but shorter words look the best. No time to create a complete banner? Create a mini banner with only one piece to hang on a door knob, in a cubicle, or in the front window by the porch to your house. Gather a few friends, and we can create one of these while learning fun techniques and earning FREE products. What are you waiting for? Call me....Sale-A-Bration will end on March 31. Schedule your friend time NOW. Rather than play games, we allowed guests to chat and open a favor box at each seat. The fancy favor box was decorated with the "Packed for Baby"stamp set and the "Baby Tees" jumbo stamp wheel. Each guest received chocolate--Baby Ruth--for our theme. A bookmark was also included. I chose the "Clearly For You" stamp set to symbolize the three children Leigh Anne will now have in her life. The Two Tags Bigz die was stamped with the EnFrancais stamp set and adorned with a scallop die cut from Newsprint designer series paper. The center frame was embossed with the Frames textured impressions folder. Phonna and friends created a diaper bouquet and wreath to welcome guests to the historic building in Cross Plains. Panera Bread bowls were filled with the guest's choice of homemade soup: vegetable, potato, and broccoli and cheese. Sandwich spreads were also available: chicken salad, tuna salad, or pimento cheese. Crackers, sour dough bread, and artichoke dip were also served. Celeste and Ceanna brought candies they created into pacifiers with candy mints, lifesavers, and jelly bellies. Mrs. Donna made chess squares and a local chef created cupcakes. The cupcakes featured a baby under a blanket-so cute! The Cross Plains Cafe & Coffee Shop was a great place to host our celebration. It is centrally located and full of charm and nostalgia. The building features narrow hallways and many nooks and crannies. Each corner brought another hidden surprise as guests made their way to the top floor. Any day, this sweet baby boy will enter the world. We can hardly wait to meet him! Friends and family showered Leigh Anne with an "Oh Boy!" themed celebration. As a hostess, I created banners to hang at the shower and to later decorate the hospital room and nursery. Stampin' Up! supplies were perfect for this occasion. I created the bold banners with the Big Shot Serif Essentials Alphabet die set, Alphabet Simple Letters die set, Top Note Bigz die, Elegant Bird Bigz die, Vintage Wallpaper Embossing Folder, Perfect Polka Dots Embossing Folder, and Label Framelits dies. This baby boy will have two big sisters to welcome his arrival. I created chair labels for grandmothers and Mama Leigh Anne to save their seats and later use at other showers or as photo props. The girls were anxious to decorate their bedroom with their new title. Sale-A-Bration Everyday Enchantment designer series paper; Alphabet Simple Letters die set; Mixed Bunch stamp set with coordinating Blossom punch; and Basic Pearls were used to create these chair labels. Although Leigh Anne's "Mama label" was planned for her chair; her daughters insisted she wear it as a necklace or sash. I guess this marks the beginning of the fun that awaits with her new baby. Our shower theme was practical; "Diapers and Wipes." Leigh Anne was happy to know she will have one less concern or grocery store trip...now that the nursery will be fully stocked with necessities. We can hardly wait for "Little Boy Blick" to arrive; and we hope the parents will finally choose a name before they leave the hospital. It will only be a couple more weeks; and the excitement builds more each day. Are you planning a baby shower, birthday party, bridal shower, retirement party, graduation, or other event for someone special? I would be happy to help with your party plans or even commission to create the invitations, party favors, banners, and thank you notes. I will need six weeks notice prior to your event. Invitations will be mailed three weeks prior to the event. Stay tuned for more projects and pictures from our "Oh Boy" baby shower.